This book provides pregnancy counselors--and those who want to help--with a roadmap for assisting women who are in the midst of a pregnancy crisis. One of the main challenges of pregnancy crisis intervention is finding ways to uphold the humanity of the unborn, affirm the woman in crisis, and eventually find a life-affirming solution for both. It's a profoundly challenging but ultimately rewarding work for all involved. 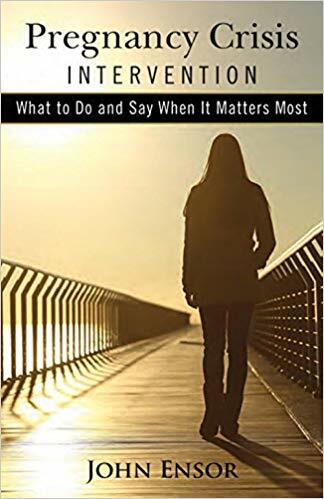 This book is written to help you know with confidence what to do and say when it matters most. Within the broader field of counseling, there is crisis assessment, intervention, and management. Because traumatic events vary so widely, crisis counseling has specialized guidelines for distinct crisis events: sexual assault, domestic violence, suicide, military reentry, and others. This book examines pregnancy-related crisis and effective intervention. Also includes "Twelve Questions to Guide Beginners in PCI," "Pregnancy Crisis Intervention Resources," and "Voices From the Field Contributors."